You and your couch are about to become BFFs. Are you a big Cortana or Alexa user? Have an Xbox One handy? Good news! Some U.S.-based Xbox Insiders will soon be able to utilize voice support via the Xbox Skill, which lets you navigate through the console via voice commands that run through both Cortana and Alexa-enabled devices. So if you've got a PC with Cortana or maybe an Echo Show with Alexa set up near your console, you can ditch your controller and just use your voice for a while. Using the Xbox Skill, you can use special voice commands to turn on your Xbox One, start games, capture screens and footage, and do just about anything else you need to do that you could do with your controller. The skill needs to be enabled on your special devices, and can be used on things like a Sonos One, Amazon Echo, or mobile devices. You can say "Ask Xbox what can I say?" when set up for a full list of commands, but they can otherwise be found here. 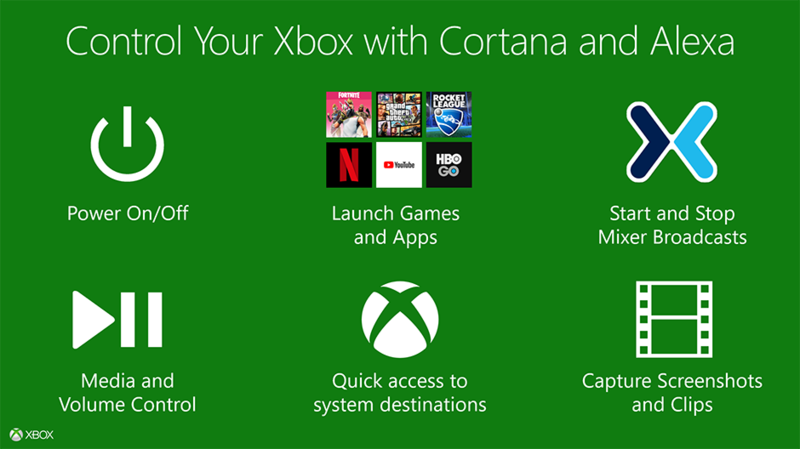 Right now, this feature is only available to certain Xbox Insider members across only a few rings of the program. If you don't currently have it yet, you might want to sit back and wait a bit while Microsoft continues to add more members to the program to test things out. Microsoft is of course looking to expand further beyond the folks who are already members, but there doesn't appear to be a rollout date for all members just yet.